1. These General Terms and Conditions (“T&Cs” or “Agreement”) constitute and govern the contractual relationship between the parties, Multilotto UK Limited hereinafter referred to as “Multilotto UK” or “We”, “Us”; or “Our”; and You, as the user and customer, hereinafter referred to as “User" or “You” or “Yours”. “User” means any individual or entity that expressly or impliedly agrees to all these General Terms and Conditions by opening an account and placing bets on casino and/or lottery outcome betting games with Multilotto UK`s websites approved by the UK Gambling Commission, from time to time, hereinafter referred to as “Website". Multilotto UK and the User are the only parties to this Agreement. 2. “Service” or “Services” shall include all services, including casino activities related to the Services, betting on the outcome of Lotteries related to the Services and listed on the Website including but not limited to casino games, betting on lottery games and other games of chance. 3. Multilotto UK is licensed in the UK and regulated by the Gambling Commission, in virtue of licence 000-047707-R-326101-001. 4. All Users, accessing the Website from the United Kingdom agree to abide by these T&C’s, also including General Casino Games rules, General Slot Games Rules, Specific Casino Games rules, Terms and Conditions for Bonus/Promotions and Privacy Policies, General Betting on Lotteries Games rules and Specific Betting on Lotteries Games rules which collectively govern the use of the Services (the "Agreement"). 5. The User must read, agree with and accept all of the General Terms and Conditions contained in this Agreement without modifications, which include those General Terms and Conditions expressly set forth below and those incorporated by reference, before the User may become an active, registered User of Multilotto UK. By continuing to access or use the Website, the User agrees to follow the General Terms and Conditions of this Agreement. This Agreement shall also apply to all Services provided via mobile devices, including downloadable applications. All references to the use of the Website shall be construed as references to the use of our Services provided for mobile devices. 6. Multilotto UK may amend and/or assign this Agreement or any rights and/or obligations from time to time. Any changes to the General Terms and Conditions will be communicated to the User beforehand by prompting s the User to re-accept the General Terms and Conditions prior to logging in. By continuing to use the Website, the Services or the software offered by Multilotto UK, the User agrees to be bound by the T&Cs as well as by the latest modifications to it. If the User does not agree to be bound by the changes to these T&C’s, the User must not use or access Our Services, and inform Us in writing immediately. In order to avoid misunderstandings and disputes at a later stage, Users can print out these T&C’s. 7. This Agreement describes the terms, conditions and risks applicable to the User when using the Services available on the Website. For certain regions or devices Multilotto UK might use other specific or country-specific domains in addition. If the User has any questions regarding this Agreement, please contact Customer Support. 8. Multilotto UK may publish these General Terms and Conditions in a number of languages and shall reflect the same principles. This is done for information purposes and to help players. It is however the English version that constitutes the legal basis of the relationship between You and Multilotto UK. Should there be any discrepancy between the T&Cs in the English version and the version in any other language, the English version shall prevail. 9. These General Terms and Conditions enter into force when you register and confirm Your registration details in the registration process on the Website. By registering an account with the Website You agree that you have read and understood these General Terms and Conditions. By using the Website you signify that you have accepted and agreed to the contents contained therein. You must read and understand these Terms and Conditions fully before registering an account with Us. Should You not agree with any part of this Agreement, You must not use or continue to use the Website. 10. The Services are available to, and may only be used by individuals, who can enter into legally binding contracts. 11. In all circumstances Multilotto UK shall not be held responsible for misuse of Our Services by any unauthorized parties or minors. 12. The User warrants to understand that laws regarding online gambling vary in different jurisdictions, and it is the User’s obligation alone to ensure compliance with any law, regulation or directive, relevant to the User’s country of domicile. Ability to access the Multilotto UK site does not necessarily mean that Multilotto UK Services, and/or Your activities through it, are legal under the laws, regulations or directives relevant to Your country of domicile. 13. Multilotto UK reserves the right to refuse and/or cancel Services at its own discretion. 14. The User guarantees at all times not to be a resident of the following countries including the United States of America and its dependencies, and territories including but not limited to American Samoa; Guam, Marshall Islands, North Mariana Islands, Puerto Rico, and the Virgin Islands, Guyane (French Guiana), Réunion, Guadeloupe, Martinique, China, Hong Kong, Macau, North Korea and Iran. 15. Multilotto UK not liable for transmission errors. Therefore, there shall be no claims for compensation due to any transmission errors, delays, or the misuse or manipulation of data. In this context Multilotto UK engages third parties for providing the Services. Multilotto UK is also excluded from any liability regarding the Services. 16. Multilotto UK reserves the right to refuse a User registration, to impose certain conditions, to extend or change the Services, to reject wagers, bets in general and to limit bets, winnings or stakes any time without providing any reasons. 17. Individual promotions and bonus may have additional Terms and Conditions, which are published separately. Please check carefully all Terms and Conditions associated with the individual promotions or bonus before taking part. Should the Terms and Conditions of the individual promotions or bonus conflict with or contribute to these General Terms and Conditions , these General Terms and Conditions shall apply, except where the General Terms and Conditions are explicitly excluded. Any other regulations set out in these General Terms and Conditions is violated. For the avoidance of doubt, this list above describing instances of misconduct is not exhaustive. 19. Multilotto UK reserves the right to terminate events or games without prior notice and at its fown discretion, whenever it deems necessary, which are working incorrectly or malfunctioning. 20. This Agreement shall be governed by and interpreted in accordance with the laws of Malta (excluding that body of law pertaining to conflict of laws) and the Gambling Act of 2005, Chapter 19 of the laws of the UK. Any legal action or proceeding arising under this Agreement will be brought exclusively in the courts of Malta, and the parties hereby irrevocably consent to the personal jurisdiction and venue therein. 21. Multilotto UK will not be liable in any way to any persons in the event of force majeure, or for the act of any government or legal authority. The User’s identity – The User warrants to, provide true, accurate, current and complete information regarding identity during the registration process. Any false information or impersonation of any person or entity, misrepresentation regarding any affiliation with another person, entity or association, use of false headers or other acts or omissions to conceal one’s identity from Multilotto UK for any purpose will be prosecuted under the fullest extent of the law. A User accessing Multilotto UK Services may be asked to provide valid subsisting verification of identity and relevant information. Username – The username must be unique and clearly identifiable, personal and confidential. Offensive or indecent names are not allowed. Further prohibited are usernames that contain or allude to an Internet link or account names, which allude to certain rights of the User (ex. The term “administrator” is reserved for Multilotto UK). We reserve the right to suspend accounts with an unacceptable username. Accounts can be reactivated as soon as suitable and an acceptable alternative username has been chosen. Password - The User is advised to choose a strong and non-predictable password for security reasons and is responsible for ensuring that this password is kept as highly confidential. In the event that there is concern that the secrecy of Username and Password is no longer the case, the User should notify Multilotto UK immediately. 2. During and after the registration process the User has to provide Multilotto UK with valid identification, including but not limited to the address, contact email and/or personal telephone number. In the event that Multilotto UK has reason to believe that the information given is inaccurate, Multilotto UK is entitled to suspend or terminate User’s account and retain any winnings. In Addition Multilotto UK is entitled to require User to provide proof of age and to refuse a User’s admission to the Service if it has reasons to believe that the minimum age requirement is not fulfilled. 3. The User is responsible for securing the User’s Username and Password for the account on the Website. Multilotto UK holds no responsibility for any damage caused due to any act or omission of the User causing inappropriate or irregular use of the Account. 4. The User shall ensure that the registration details are kept up-to-date and shall make any necessary changes of name, address or e-mail address on Multilotto UK’s Website without undue delay. It is the User’s responsibility to change his/her personal information if needed. 5. Multilotto UK is in no way responsible for any access to a User´s account by a third person and will not be held responsible for any loss suffered due to the illicit use of a User’s password by a third person, of unauthorized access, and/or for any transaction in which the name and password of a User was registered correctly. 6. In order to place a bet with an account on Multilotto UK´s Website, the User must have sufficient funds on his/her account for the bet he/she is going to place. The User has read and accepts these General Terms and Conditions. 8. Multilotto UK accepts only one account per person. The use of more than one account per physical User is strictly forbidden. Multilotto UK retains the right to close a User´s account at any time and to cancel all the transactions pertaining to any User that has registered more than one account in his own name or under different names, in the event that Multilotto UK has reasonable suspicion that the User has registered multiple accounts. It makes no difference whether the accounts have been used with the intent of defrauding or cheating, or otherwise. 9. It is prohibited for Users to sell, pledge, transfer and/or acquire accounts to/from other Users. Funds can only be remitted to the same account from where they originated at the deposit stage. 10. Multilotto UK accepts only natural persons with a single account as a User. Neither a legal entity nor body corporate is allowed to open or to have an account on Multilotto UK´s Website. 11. Employees of Multilotto UK, their immediate families and Multilotto UK´s affiliates are prohibited from participating from Multilotto UK betting offers, promotions, special offers or bonuses in general. 12. The User shall not treat Multilotto UK as a financial institution nor expect interest on his/her deposit/s. 13. The base currency is GBP (£), but the account balance of the User may be displayed in another currency. The User can choose other currency than the GBP for his/her Account but he/she must be aware that sometimes the payment process may be subjected to an exchange rate when exchanging any payment amount into GBP. Please note that any exchange premiums are payable by the User. 14. Any amount credited erroneously to a User´s Account should be reported immediately to Multilotto UK by the User. Any winnings and funds caused by an error are invalid regardless of how they occurred. 15. Making deposits into any account for any reason other than participating in games is not allowed. 16. The use of any software program which facilitates artificial intelligence is strictly prohibited. Prohibited software may include software (e.g. scripts, bots or spider) which Multilotto UK believes to be a software which allows Users to cheat or gives one User an unjust advantage over other Users while betting or wagering on the Website. Multilotto UK reserves the right to take action in order to detect and prevent the use of such software by Users. Should Multilotto UK identify or suspect for good reason the use of prohibited programs, Multilotto UK reserves the right to block the relevant User’s account for a period of at least six (6) months, to confiscate any funds in that Account and/or to suspend the User from using the Services permanently. 17. In the event of misconduct by a User, Multilotto UK is entitled to immediately terminate the Agreement with the User and exclude him from further use of the Website. Further, Multilotto UK is entitled to interrupt and terminate on-going activities, to block the User or the User’s Account with or without prior notice and to retain the User’s credit and winnings achieved through misconduct until clarification of the situation. 18. Any indication of fraud, manipulation, cash-back arbitrage, or other forms of deceitful or fraudulent activity which was the basis of a provision of a bonus or otherwise will render the Account inactive along with any and all profits or losses gathered. 20. Multilotto UK supervises all accounts and data in the strictest confidence. An obligation to disclose may be requested by the relevant authorities, such as the UK Gambling Commission or the Financial Conduct Authority (FCA). 21. Multilotto UK reserves the right to refuse a User registration, to impose certain conditions, to extend or change the Services, to withdraw betting markets or other Services, to reject bets in general and to limit bets, winnings, odds or stakes at any time without providing any reasons and at its own discretion. 22. There is no general right to registration, opening an Account or placing a bet on Multilotto UK´s Website. Unless Multilotto UK establishes that a third party has satisfactorily carried out age verification. if on completion of age verification the customer is shown to be underage, the operator must return to the customer any money paid in respect of the use of the gambling facilities, but no winnings shall be paid. 25. If a User’s registration has been refused or the Account has been closed at Multilotto UK’s sole discretion, the contractual obligations already made will be honoured. 26. Multilotto UK may waive a right or provision from these General Terms and Conditions in particular cases. Multilotto UK will not be held liable and the User has no claim for a waiver of such right or provision in future matters. If the User does not respect these rules and regulations then Multilotto UK may suspend the User’s Account pending investigation. Any suspicious or fraudulent transactions will be immediately reported to the relevant authorities, including but not limited to the UK Gambling Commission. 1. All payments into the Account must be from a payment source on which the User is the named account holder. 2. Several payment methods can be utilized in order to deposit funds to User´s Account by transfer of money like credit cards, bank transfer and other electronic payment methods. Certain payment methods may involve charges depending on the volume of the transaction. Prior to effecting the payment, the User will be informed of the charges (if any). Visit the payments page on www.multilotto.co.uk to view the payment methods available and any associated fees. 3. Bank transfers can take several days to be deposited on the User´s Account. Cash Deposits are not possible. 4. Multilotto UK reserves the right to impose certain conditions on the use of particular payment methods. Multilotto UK also has the right to change, add, limit or suspend the payment methods available without giving any notice. Multilotto UK does not guarantee that all methods of payment are available at all times and for all countries. 5. Multilotto UK reserves the right to limit the minimum and maximum deposit amount per transaction for every provided payment method. For Bank transfer method the minimum deposit amount is no less than £ 25 (twenty five GBP). The maximum deposit amount varies in accordance to the payment method used on the Website. Visit the payments page on www.multilotto.co.uk for further information. 6. The User acknowledges that Multilotto UK reserves the right to request proof of transfer of deposits to User Accounts. High volume deposits may have to be approved by Multilotto UK. 7. The User acknowledges that any recall or similar actions of correctly transacted transfers via any payment method is not possible. 8. Multilotto UK reserves the right to request an image of both sides of the credit card used to deposit funds into the User Account at any time and at its own discretion. In order to reflect the best security practices, the User may be asked to black out the CVV number and certain card numbers. 9. The User declares not to deposit money using a credit card, bank accounts and any other payment accounts and solutions to which he/she is not authorized. 10. Multilotto UK uses for all payment transactions secure connections to avoid unauthorized access by third parties in the best possible way. 11. Self-deposit limits can be imposed by the User through the use of the Website. 12. Multilotto UK reserves the right to recall any payment that is made in error. 13. Users wishing to receive a payment (including withdrawals) via bank transfer (SEPA), and who reside outside the European Economic Area (EEA), will receive the requested payment/withdrawal amount less any applicable bank charges. 14. Payments will only be effected in the GBP Currency. 2. Multilotto UK provides the ability to allow a customer a ‘time-out’ facility for the following durations: twenty-four (24) hours, one (1) week, one month or such other period as the customer may reasonable request, up to a maximum of six (6) weeks. 3. Multilotto UK further allows a customer to self-exclude themselves from their account for a duration of not less than six (6) months, and not more than twelve (12) months. This period may, on request, be extended for one or more further periods of at least six (6) months each. Once this change has been made to an account for a set period, it will not be possible for the account to be re-opened for any reason until after the set period has expired. During the period of opt-out Multilotto UK shall do all it can to prevent the player from opening new accounts. 4. At the end of this period chosen by the customer, the self-exclusion remains in place for a further six (6) months if no positive action is taken by the customer to gamble again. 5. A player at www.multilotto.co.uk can determine his or her own deposit, loss and bet limits for a certain period of time or timespan. 6. Before possible limits of a player are raised, limitations are uplifted or the blockade of the Account is made undone, a cooling down period of seven days is necessary before the request can be processed by multilotto.co.uk. Requests for lower limits or requests for a renewal of the period of exclusion will enter into force immediately. 7. A Player can request a limitation of the money he is willing to maximally lose or bet during a certain period or timespan. 8. A Player is able to lock his Account for a defined or undefined period when he no longer wishes to gamble or play or stake. 9. When a Player chooses to lock his account, such Player will not be able to open a new Account before his cooling down period has ended. New Accounts will be closed and the balance will be frozen, with the unjustly received Welcome bonus being subtracted from the said sum. Once the locked Account is opened again, after the cooling down period, the Services will once again be available to the User. 10. If a player closed his or her Account permanently, then the Account cannot be reopened instantly. The player needs to specify why he wants to reopen the Account and provide his consent via a signed and written application. Nevertheless multilotto.co.uk reserves the right not to open the said Account should it feel that such Account should not be opened for any reason whatsoever. 11. By entering and playing on our Site, You are acknowledging that in playing games of luck through the use of the Service and/or the Software You are under the risk of losing money. It is the player’s sole responsibility to assume the losses suffered through the Player’s Account. 12. The Website also contains links to external entities and information which can help in case of addictive gambling. If You believe that You might be addicted to gambling, We encourage You to seek help through these areas of Our website and also contact Us via email. 13. By using the Services the User is acknowledging that placing bets on the Website is under the risk of losing money. It is the User’s sole responsibility to assume the losses suffered through the User’s Account. 14. Users who have self-imposed limits or exclusions and who wish to increase or revoke a limit, or Users revoking the exclusion or decreasing exclusion limits, will only be able to utilize such limits within seven days from when Multilotto UK has received such a notice, however if the exclusion is extended or the limit made more stringent this will be implemented immediately. 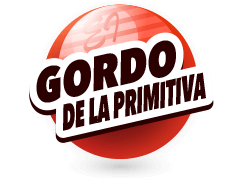 The User´s request and the withdrawal is in accordance to these General Terms and Conditions. 2. Withdrawals from a User’s Account can only be addressed strictly to the person registered on the Account in accordance to the conditions specified on the Website. 3. Multilotto UK reserves the right to transfer amounts via bank transfer, if the User´s deposit method has no withdrawal option. In this case the holder of the bank account and the Multilotto UK Account has to be the same person. 4. Multilotto UK's finance department handles all withdrawal requests submitted. Multilotto UK reserves the right to verify the entitlement of the User and, in case of doubt, to retain the withdrawal. Valid documents issued by government and identity documents must be submitted in order to process a withdrawal. No withdrawals for the cumulative amount of £1,600 and over will be processed, unless such documentation has been submitted by the User and verified by Multilotto UK’s finance department. However, Multilotto UK reserves the right to verify the User’s identity, age and location at any time before processing any amount of requested withdrawal. 5. The personal data of the User, of the account holder and the holder of the bank account (or any other payment method) must correspond. Multilotto UK reserves the right to request further documentation for the proof of identity and verification of the bank account (or any other payment method) and retain winnings until such proof has been provided. 6. Multilotto UK further reserves the right to use manual withdrawal for payouts of winnings exceeding amount of £15,000. 7. Complaints regarding withdrawals must be submitted within 30 days of the withdrawal request. 8. Once a withdrawal request is submitted it can take Multilotto UK up to 3 business days to process the request. However, Multilotto UK will be doing its best to process withdrawal requests immediately. 9. Funds cannot be withdrawn from User’s Account unless the same funds have been used for the Services at least once. A five percent (5%) administrative charge, with a minimum of five Euro (£ 4) per transaction may be applied for payout requests referring to amounts deposited with Multilotto UK and which have not been used at least once for using the Services. 10. Withdrawals of winnings or parts thereof will be paid out upon request of the User. The minimum withdrawal amount per transaction is no less than £ 8.00 (or equivalent in other currency) with the exception of an Account closure in which case the User has the right to withdraw the full balance no matter how much it is. 11. Multilotto UK reserves the right to reject withdrawals via a particular payment method and to transfer via bank transfer to User´s bank account without providing any reason. 12. Withdrawals can be deferred up to 30 days after User’s request. 13. The minimum withdrawal amount per bank transfer is £ 20.00. Withdrawals with smaller amounts are only possible via different payment methods. 14. Account holders playing on Multilotto UK’s Website can only withdraw funds through electronic payment methods and/or bank transfers, and/or through financial institutions. Multilotto UK will not allow cash withdrawals. 15. A list of all withdrawal methods, including any applicable processing fees, and settlement times can be viewed on Our Websites’ payment page. Kindly visit www.multilotto.co.uk. 16. All transactions have to be processed in accordance with the European anti-money laundering regulations. 17. Free games may be played by registered and non-registered Players. As long as the player is connected to the Internet and does not intend to bet real money, he or she can play the free online games offered on Our Website. Any winnings deriving from such free games are virtual winnings and are not redeemable into real money. 1. Users may choose to close their Account at any time. In such cases a User is requested to send an email and Our customer care will proceed with closing the Account and confirming to the User that such termination has taken place. 2. Multilotto UK reserves the right to exclude Users or close the User´s Account if Multilotto UK has reasonable suspicion that the User suffers from a gambling addiction problem. 3. For the purpose of preventing compulsive gambling a permanently closed account may never be reopened under any circumstances. Nevertheless a deactivated Account may only be reactivated by Multilotto UK with a delay of seven days in accordance with the Remote Gaming Regulations. The User has multiple Accounts registered on Multilotto UK Website or several accounts, which indicate that such accounts relate to the same user or group of users (IP, device, home address, similarity in username, email, same payment methods, same gaming history). The User violates any terms of the Agreement and fails to comply with it. This list of reasonable grounds above is not exhaustive. 5. In order for a User to claim funds from a dormant Account, closed, blocked or excluded Account, one must contact Multilotto UK by email on [email protected] . If no transaction has been recorded in the User’s Account for a period of more than thirty (30) months, it is said to be dormant. In such an instance the User accepts and acknowledges that the User’s Account will be automatically closed. If an Account has been closed, the balance on the User’s Account, minus any bonus money, will be paid out to the User. If Multilotto UK is unable to contact the User, the money will be forfeited and paid out to the UKGC, which in turn will determine the most appropriate use of such funds. If a User has not logged in to his/her Account during the last twelve months the Account will be classified as a “not active” Account. Upon the lapse of 12 months, Multilotto UK reserves the right to charge a monthly fee of £ 4,00 on all inactive Accounts. The fee will be charged either until the User logs in to his/her Account or until the remaining balance on the Account is exhausted. 6. Multilotto UK prohibits Users from using devices, such as robots, that distort normal use of the Services. 7. Statements will be issued on a quarterly basis and fees will continue to accrue pursuant to the auto renewal of these General Terms and Conditions should the User fail to provide the required thirty (30) day written notice of termination to [email protected]. 8. The User expressly authorizes Multilotto UK to collect any Account fees due and owing pursuant to these General Terms and Conditions by debiting the User credit card on file, or by debiting the User’s Multilotto UK Account. 9. The term of the Agreement shall be for an indefinite period and should the User wish to terminate this Agreement at any time, he may do so by sending an e-mail notification to Multilotto UK. As of termination, the User shall not be able to carry out new transactions. 10. The User may only terminate the Agreement with Multilotto UK by providing written notice via email. 1. Each User is obliged to read and acknowledge the General Terms and Conditions in their valid version, including all Casino and Slot Wagering Rules, the Betting on Lottery Games Rules, and provisions of minimum and maximum stakes, maximum payouts or similar provisions. 2. Placing a bet or wager with Multilotto UK, is only possible via the official Multilotto UK platforms (e.g. Website or mobile version). 3. Multilotto UK is not liable for damages if the User can place bets or wagers despite insufficient credit. The bet has to be declared invalid. A completed bet or wager is only accepted if the User's Account has sufficient credit for such bet. 4. Multilotto UK reserves the right to reject individual bets or wagers, to limit the stakes on individual bets or wagers without providing a reason. 5. Multilotto UK reserves the right to cancel any bets or wagers up to the start of a live casino, tournament or lottery event, without giving any reasons. 6. After the event has started, Multilotto UK may cancel bets/wagers provided that the User is in violation of these General Terms and Conditions or betting rules as applicable from time to time, or, in particular, if she/he is under the suspicion of manipulation/rigging, of acting in collusion or forming a syndicate of Users, keeping duplicate gaming Accounts or using front-men in order to place wagers. 7. The recorded data of Multilotto UK is relevant for all the contents of a bet. Obvious errors have to be reported by the Users. In the event that any information or result is incorrectly recorded, Multilotto UK reserves the right to correct or declare results void and will take remedial action in order to rectify and amend the data in the system so as to reflect the correct information. Any winnings that are affected by the incorrect information will also be amended accordingly. 8. Multilotto UK determines a fixed time until wagers are accepted. The acceptance of a wager or bet will be confirmed and the accepted bet is listed in the User´s Account in detail. 9. For invalid bets or wagers the stakes will be refunded to the User´s Account. This is in the particular case given when transmission errors occur, the date or time of the bet or necessary data of the User´s Account are missing or incorrect. 10. Only Multilotto UK determines the deadline for accepting bets or wagers. 11. The User must place his/her bet/wager as an individual person. In this context Multilotto UK reserves the right to void or cancel wagers/bets and/or confiscate the funds held in the Accounts in order to prevent and obstruct fraud if Multilotto UK has legitimate reasons to believe that several Users establish and perform a syndicate or the respective wagers have been placed repeatedly by one or several Users. 12. Wagers placed by Users on behalf or to the account of hedging operators will be declared void. 13. Multilotto UK reserves the right to correct or to declare results void, if the result has been caused by a technical default, by a manipulation of the particular event/tournament or by an error occurred at a payment transaction. 14. Multilotto UK assumes no liability for input, transmission and/or evaluation errors. Multilotto UK reserves the right to correct obvious errors or declare the affected wagers as “invalid”. Obvious errors may be typos, incorrect payables, or similar errors that affect the possible or actual winnings. That he or she is not a member of a group which is barred from betting on this site. 16. The company is not subject to any obligation to review the correctness of the declarations as set out in paragraph e. subparagraph (i). above and Multilotto UK is entitled at any time to cancel all or selected bets (including retroactively) and/or to void any winnings resulting therefrom after receiving knowledge of misrepresentations to bar the customer from all future betting, to close the betting Account and to pay out the remaining funds in the Account. 17. The betting agreement shall come about through the acceptance of a betting offer. For a bet to be valid and correct, the bet which is electronically saved on the central computer of Multilotto UK shall apply. This may be viewed on the Account. Any unilateral right to withdrawal from the Agreement on Your part (cancellation of bets) following the conclusion of the Agreements is excluded. You may correct or delete the betting slip which has been virtually filled in until the final confirmation of the placement of the bet. Upon the confirmation of the placement of the bet, You shall be obligated to fulfil the Agreement and waives any right to revocation or withdrawal from the Agreement. You shall be responsible Yourself for bets placed and cannot appeal that data made available by Multilotto UK may have been incorrect or incomplete. 18. Multilotto UK shall be entitled to void respective bets (including retroactively) if there is a suspicion of manipulation or betting fraud. In legal terms this shall mean that the stake monies in the bets in question shall be credited to the betting Account and You shall be barred from future betting, the betting Account shall be closed and the remaining funds in the Account can be paid out. Betting which suggests a group of betters which is connected in terms of the time element and content. 19. It is the responsibility of the betting Client to immediately report each amount credited to his Account by mistake. All winnings occurring as a result of such error or mistake are considered invalid despite the circumstances, and as such Multilotto UK has the right to revoke all mistakenly credited funds. Play ‘n’ Go Malta Limited and Playson (Alderney) Limited provide the platform on Our Website on which You can play the Games that We may provide from time to time under the ‘Casino’ and ‘Live Casino’ tabs and any other similar Games that We make available to You from time to time on any Multilotto UK Website (altogether, referred to hereafter as “Casino Games”). Multilotto UK Limited is a company registered in Malta with company number C 77101, with its registered address at 1st Floor, Suite 3, Central Business Centre, Mdina Road, Zebbug ZBG9015 MALTA and, if You play the Casino Games on www.multilotto.co.uk, references to "Multilotto UK", "We", "Us" and/or "Our" in these Terms and Conditions are to Multilotto UK Limited. Multilotto UK is licensed to provide the Casino Games pursuant to a licence granted to it by the UK Gambling Commission which is the regulator for all forms of gaming in the United Kingdom including games of chance. For further information please visit www.gamblingcommission.gov.uk. All Casino Games take place in the territory of UK. Maximum cumulative net winnings on all Casino and Slot Games (excluding any progressive jackpot wins) in a 24 hour period by each User shall be capped at £12,000, whilst the maximum cumulative net winnings on all casino and slot games within a 7 day period (168 hours) shall be capped at £84,000. Play ‘n’ Go Malta Limited and Playson (Alderney) Limited provide the platform on Our Website on which You can play the Games that We may provide from time to time under ‘slots’ tabs, and any other similar Games that We make available to You from time to time on any Multilotto UK Website (altogether, referred to hereafter as “Slot Games”). Multilotto UK Limited is a company registered in Malta with company registration number C 77101 with its registered address at 1st Floor, Suite 3, Central Business Centre, Mdina Road, Zebbug ZBG9015 MALTA and, if You play the Slot Games on www.multilotto.co.uk, references to "Multilotto UK", "We", "Us" and/or "Our" in these Terms and Conditions are to Multilotto UK Limited. Multilotto UK is licensed to provide the Slot Games pursuant to a licence granted to it by the UK Gambling Commission which is the regulator for all forms of gaming in the UK. For further information please go to www.gamblingcommission.gov.uk. Unless otherwise specified, all Slot Games take place in the territory of UK. Maximum net cumulative winnings on all Casino and Slot Games (excluding any progressive jackpot wins) in a 24 hour period by each User shall be capped at £15,000, whilst the maximum cumulative net winnings on all casino and slot games within a 7 day period (168 hours) shall be capped at £100,000. Multilotto UK Limited is a company registered in Malta with company number C 77101, with its registered address at 1st Floor, Suite 3, Central Business Centre, Mdina Road, Zebbug ZBG9015 MALTA and, if You Bet on Lottery Games on www.multilotto.co.uk, references to "Multilotto UK", "We", "Us" and/or "Our" in these Terms and Conditions are to Multilotto UK Limited. Multilotto UK is licensed to provide betting on the outcome of lottery results pursuant to a licence granted to it by the UK Gambling Commission which is the regulator for all forms of gaming in the UK, including games of chance. For further information please visit www.gamblingcommission.gov.uk. All bets placed on the outcome of lottery results take place in the territory of Malta. When registering, and when placing an order for a bet, YOU are entering into a contract with Multilotto UK for the following services: the use of the Website; the operation and management of the Player Account; the placing of Bets and, the payout of any Winnings to the YOU. YOU hereby agree that Multilotto UK is placing lottery bets on your behalf, with Lotto Warehouse Ltd, holder of UK license 000-047707-R-326101-001, hereinafter the ‘Bookmaker’. All references in these Terms and Conditions in relation to a User placing a Lottery Bet or in relation to the placement of Lottery Bets refer to, unless otherwise regulated, the placing of a Lottery Bet by Multilotto UK with the Bookmaker for and on behalf of the User. “Operator” – Multilotto UK Limited, owner of the domain, www.multilotto.co.uk. “Operator Winning Lottery Bet” – a winning Bet for a Lotto Warehouse powered game, which was successfully submitted directly or indirectly, via Internet, telephone or other channels, and placed by the Operator on behalf of the Player with the Bookmaker, including possible winning Bets introduced through a third party to the Operator and then placed by the Operator on behalf of the Player with Bookmaker. All other capitalised terms used in these Conditions Specific to Customers wishing to bet on the outcome of lottery results, shall have the same meaning assigned to them under these General Terms and Conditions. The User effects an instruction to the Operator to place Lottery Bets with the Bookmaker on their behalf by filling out and submitting a Virtual Betting Ticket on the Website for their chosen Bookmaker Game/s. 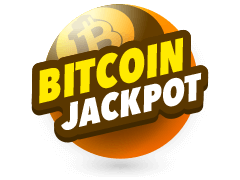 To settle the Lottery Bet amount the User may either use funds available in his User Account or pay for the Lottery Bet/s by using the chosen payment method during check out. After the User has filled out the Virtual Betting Ticket/s, the Lottery Bet/s will be transferred to the User’s shopping cart. When the User has finished placing bets he may then proceed to the Shopping Cart to effect payment. The User then pays for their Lottery Bet/s by providing their payment details and by clicking on the applicable button in the shopping cart. When the User has a balance in his Account and chooses to settle the Lottery Bet from his balance, the bet amount is immediately deducted from the balance. The system will indicate to the User if there are sufficient funds available in his User Account and whether another payment method is required to be selected or not. The Operator does not offer credit betting and the User must either have funds in the User Account or pay for the bet using the chosen payment method. Should the latter be chosen, the funds will be transferred from the User’s payment method to the User Account, with the bet amount immediately deducted from the User Account. Once any Lottery Bet has been submitted, it cannot be altered or cancelled. The User will then receive an order confirmation which would include details of the Lottery Bet placed. The User may also review the full details of all Lottery Bets placed by logging into their User Account on the Website and clicking on ‘Bet History’ or ‘Active Bets’ as applicable. Depending on the selected Bookmaker game/s, the User may bet for a certain duration; that is place a bet for a certain number of consecutive draws in a week, referred to as “Duration Bets”. Duration Bets may extend automatically. Lottery Stakes for Duration Bets will be debited by pre-payment at the beginning of the relevant duration for all relevant draws for the selected duration. 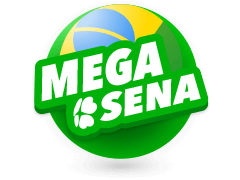 The User may automatically extend Lottery Bets by selecting the “Subscription” option which is available separately for each lottery game. Depending on the selected game the User may then select a period for the automated placing of Lottery Bets for a period ranging from 1 to 52 weeks. After this binding Subscription period has elapsed, the Lottery Bets are once again renewed automatically for the selected period of Subscription, unless a notice of cancellation is received via the User Account. The cancellation of a Subscription must be received by Operator not later than twenty four (24) hours prior to the end of the period for automated placing of Lottery Bets. Lottery Stakes for following Subscription bets will be debited by pre-payment for every following period of the Subscription. The Operator will send an email to the User, 30 days prior to the expiration of the binding period of the Subscription in order to remind the User of the automated renewal of the Subscription and to allow the User to cancel the automatic renewal of the Subscription. Should the User not respond to the email or cancel the Subscription from the User Account, the Operator will automatically renew the subscription until further notice from the User. the draw is declared by an organiser or co-organiser of the lottery in question as being invalid. Winnings on any Lottery Bet shall be credited to the User Account and the User is able to view any such Winnings on their User Account on the Website. In addition, the Operator may decide, but is not obliged, to inform the User with respect to Winnings by email, SMS/text message or other ways especially if there is a large win. Information about Winnings shall be provided in GBP (£). If a player chooses a “System Game” Bet, all possible combinations of the selected numbers are considered separate Bets. For the purposes of this Clause ‘System Game’ means …..
A lottery syndicate is a group of individuals who choose to play the same number combinations together as a group. The Website refers to syndicate games as group games. All winnings from lines played by the syndicate will be shared between all the active members of the syndicate, depending on the amount of shares each individual has. A share refers to the percentage of prize winnings each member of the syndicate is entitled to in syndicate lottery play. Users participating in a syndicate will receive an email directly after each draw informing them of all their winnings. A User can also login to the User Account at any time and check their latest winnings. 10. The Operator strives to ensure that all the jackpot values for all lotteries offered on the Website are correct, but assumes no responsibility for errors contained in such information. The Operator estimates the amount of future jackpots using certain assumptions, such as the current or future jackpot being won or rolled over, but is not liable for false assumptions, calculations or forecasts. Valid Lottery Bets will be placed on the next relevant draw that takes place, provided that they are placed before the respective deadline and provided that the User has not selected something else on purpose. The deadline will be displayed on the Website. It is up to the User to make sure that the instructions are given to place the Lottery Bet before the relevant deadline. For the avoidance of doubt, instructions to place or the apparent placement of a Lottery Bet after the start of a specific draw or a draw that has actually occurred will not be valid, irrespective of any automatic confirmation, that may be generated via email or the Website, or irrespective of a wrong deadline displayed on the Website. 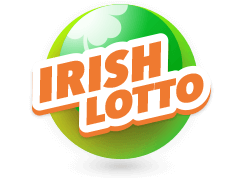 For the avoidance of any doubt, both Multilotto UK as the Operator and Lotto Warehouse as the Bookmaker are not lottery operators and do not perform any lottery draw. If the relevant lottery operator makes multiple draws on the same date, then unless otherwise specified by the Bookmaker and/or the Operator, a User's Bet will apply only to the main draw taking place on that date (or, where no main draw takes place, the first draw), under exclusion of any other draw made by the lottery operator in question. If a lottery draw does not take place or no draw result is published or officially announced, all valid Lottery Bets on that draw will stand for the rescheduled draw (or, if there is none, the next available relevant draw). The Operator shall pay out winnings as one lump sum as all Lottery Jackpots and second category prizes of the Operator are insured through the bookmaker, such winnings may take up to 90 calendar days for clearance of payment. the draw is declared by the underlying lottery operator as being invalid. A winning bet on Multilotto UK’s Website will be paid out as if the winner had participated in the underlying lottery. To this effect, applicable Federal, State and City taxes will be applied to the advertised value in each relevant prize category. 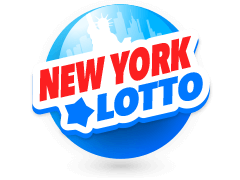 For lotteries organized in the USA, the net payout of a winning bet will be calculated as if the winner was a resident of New York City, USA. For lotteries organized in Spain, the net payout of a winning bet will be calculated as if the winner was a resident of Barcelona, Spain. 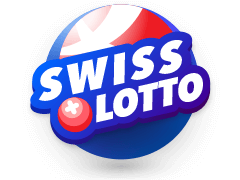 For the EuroJackpot, the net payout of a winning bet will be calculated as if the winner was a resident of Zürich, Switzerland and Barcelona, Spain respectively. 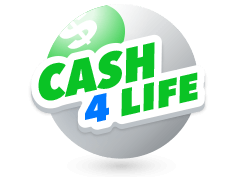 For all other lottery games, the net payout of a winning Lottery Bet will be calculated as if the winner was a resident of the capital in the country where the lottery is organized. A User with a Multilotto UK winning Lottery Bet will be treated equally by means that their winnings will be the same as the Pay Out they would have received, had they bought a Winning Ticket in the underlying lottery instead of placing a Lottery Bet on the Multilotto UKWebsite. If the lottery organizer has not announced a pay out in the respective Prize Category for the relevant draw, the Winnings payable in respect of each Multilotto UK winning Lottery Bet in that Prize Category will be calculated by Multilotto UK on the basis of the published aggregate amounts paid in for the relevant draw announced by the operators and its allocation to the winning Prize Categories. The winnings payable in respect of each Multilotto UK winning Lottery Bet will depend on the number of winning tickets in the relevant prize category in the underlying lottery, the number of Multilotto UK winning Lottery Bets in the relevant prize category and the payable Prize by the operators for the winning tickets in the relevant prize category. Multilotto UK will calculate this amount on the basis of the amount of aggregate Lottery Stakes published by the operators as well as the distribution to the prize categories or on the basis of the amount published on the website of the operators for the prize categories of the relevant draw. The total of all winnings payable by Multilotto UK for the prize categories for a certain draw must never exceed the amount for the relevant draw and might be divided among the winners. Example 1: There is one Multilotto UK winning Lottery Bet in Prize Category 1 and no winning ticket has been announced by the operator in Prize Category 1 in respect of a Jackpot of £ 30,000,000.00. The Winnings payable in respect of that single Multilotto UK winning Lottery Bet in Prize Category 1 would be £ 30,000,000.00. 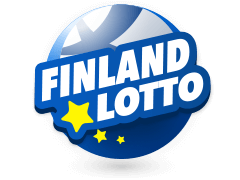 Example 2: There is one Multilotto UK winning Lottery Bet in Prize Category 1 and two winning tickets have been announced by the operator in Prize Category 1 in respect of a Jackpot of £ 30,000,000.00. The Winnings payable in respect of that single Multilotto UK winning Lottery Bet in Prize Category 1 would be £ 10,000,000.00. Example 3: There are two Multilotto UK winning Lottery Bets in Prize Category 1 and no winning ticket has been announced by the operator in Prize Category 1 in respect of a Jackpot of £ 30,000,000.00. The Winnings payable in respect of each Multilotto UK winning Lottery Bet in Prize Category 1 would be 15,000,000.00. 14. If any Lottery Bet is voided in accordance with Condition 13.b (i), 13(ii), or 13 (iii), the Operator will offer the User, the option of placing any such Lottery Bet on the next relevant draw or crediting the User's Player Account with the relevant sum. If any Lottery Bet is otherwise voided by the Operator in accordance with these specific terms, the relevant sum associated with that bet may be forfeited by the Operator, except in those cases where the Lottery Bet was placed by a User who is under the age of 18. In this case, the Operator will seek direction from the UK Gambling Commission on how to account for the voided bet placed by an under-aged player. 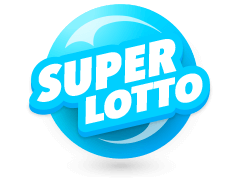 All of the advertised prizes by the relevant lotteries and by the Multilotto UK’s Websites, are prizes gross of any relevant federal or state taxes/levies on winnings. 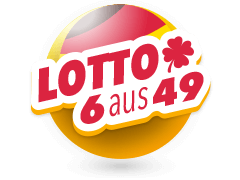 Moreover, all advertised prizes by the relevant lotteries and by www.multilotto.co.uk, on those lotteries that pay out the advertised prize over a period of years, need to be discounted to the present value in order to account for a one time payment, instead of payments over a period of years. 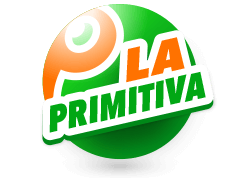 The Operator reserves the right to offer and advertise a prize higher or lower than the prizes advertised by the relevant underlying lotteries. Only the advertised prizes published on www.multilotto.co.uk are the prizes which will be paid out by the Operator to any Multilotto UK winning Users. In the event of a dispute in respect of a Lottery Bet or the payment or awarding of any Lottery Bet winnings, the Operator may withhold payment of the Lottery Bet winnings until any dispute has been fully resolved. Where the Operator makes a final decision or exercises any discretion referred to above, the Operator may, solely at its discretion, reimburse the sum paid by the User for the relevant Lottery Bet or offer a new Lottery Bet to the User. In the event of any discrepancy between the Conditions specific to customers wishing to Bet on the outcome of lottery results and the General Terms and Conditions of Multilotto UK, the Conditions Specific to customers wishing to Bet on the outcome of lottery results shall prevail. Multilotto UK may, from time to time, offer promotions and/or competitions which are governed by separate terms and conditions. Any bonuses or special gifts credited to Your Account must be used in adherence with such terms and conditions. Multilotto UK's bonus terms, which comprise part of these terms and conditions, may be found under the relevant bonuses pages on our Website. In the event and to the extent of a conflict between these Terms and Conditions and the promotion- or competition- specific terms and conditions, the promotion- or competition- specific terms and conditions shall prevail. Multilotto UK reserves the right to withdraw any promotion, competition, bonus or special offer at any time. In addition, Multilotto UK reserves the right to limit withdrawals from any Bonus Scheme as outlined in clauses 5, 7, 10, 11 and 12. When using bonus money you have to complete the wagering requirements in order to make any cashouts of the bonus or winnings by bets using bonus money. All Casino bonuses will have a wagering requirement of 35 times the sum of the received bonus and the deposit amount. Individual offers can have different terms, in this case such information shall be made available to the player. Winnings from "free spin" or "bonus" rounds features initiated with bonus funds but completed after the bonus has been wagered, lost or forfeited will be removed, and are withdrawable up to £100 GBP. The use of bonus funds purely to progress through the bonus stages of games can result in the winnings from the final bonus round(s) voided. forfeit the bonus allocated to the account holder and any winnings from that bonus, and/or, revoke, deny, or withdraw a bonus offer from the Account Holder, and/or, block an access to particular products, and/or, exclude the Account Holder from any future promotional offers, and/or, terminate the Account Holder’s account with immediate effect. If bonus funds are wagered by the User in any of the listed games, such funds will not be acknowledged as a fulfilment of the wagering requirements for that particular game. Multilotto UK further reserves the right to forfeit any winnings, if bonus funds are wagered on any of the aforementioned games. This paragraph does not exclude wagering of winnings gained from free spins. 1. Multilotto UK may from time to time, offer jackpot prizes on its casino and slots games. Each casino and slots jackpot prize offer will be governed by separate terms and conditions, which are specific to the casino and slots jackpot offer, and which comprise part of these terms and conditions. 2. Multilotto UK's casino and slots jackpot terms, which, may be found at the relevant casino and slots jackpot pages, comprise part of these Terms and Conditions. 3. In the event and to the extent of a conflict between these Terms and Conditions and the casino and slots jackpot specific terms and conditions, the casino and slots jackpot- specific terms and conditions shall prevail. 4. 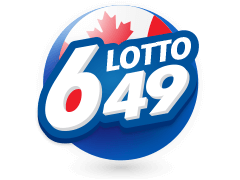 If a lottery draw does not take place or no draw result is published or officially announced, all valid Bets on that draw will stand for the rescheduled draw (or, if there is none, the next available relevant draw). Refund the amount of the wager to You by placing it in Your Account. 1. By opening an Account with Multilotto UK, the User implicitly gives his authorization to the processing of any personal data in compliance with the privacy laws in force in the United Kingdom for the use of the online betting services offered by Multilotto UK. The supply of data to third parties is on an ‘opt-in’ basis. 2. The User’s data will be shared with Multilotto UK employees for the purpose of their work. 3. Multilotto UK does its best to ensure the privacy, confidentiality and security of its Users. 4. The Users undertake to supply Us with true, updated and accurate information about their identity. Furthermore, they are required to state categorically that they are registering on their own behalf and are not seeking at any time to act in any manner which could be considered fraudulent nor are they seeking to impersonate any other individuals for any purpose whatsoever. 5. By registering with Multilotto UK and through the voluntary interaction they undertake with Multilotto UK‘s products and/or Services, the User confirms and agrees that they consent to the use of all or part of the information they supply concerning their Multilotto UK User Account, the transactions they undertake through it and the interactions which they perform with Multilotto UK and on behalf of Multilotto UK. All interactions the User undertakes with Multilotto UK will be stored by Multilotto UK for the purposes of record and as such may be employed by Multilotto UK in such cases where disputes arise between Users and Multilotto UK. 6a. Multilotto UK‘s data collection procedures include the collection of User's freely disclosed information as shared with Multilotto UK, in addition to the placement of cookies for the purpose of gathering data about the manner in which Users interact with the Multilotto UK ’s Website. 6b. Multilotto UK utilizes Google Analytics, a web analysis service of Google Inc. (“Google”). Google Analytics uses so-called ‘cookies”, text files that are stored on Your computer and enable an analysis of Your use of the Website. The information generated by the cookies on the use of the Website (including your IP address) are transmitted and will be stored to a Google server in the USA. Google uses this information to evaluate Your use of the Website, to compile reports on the Website’s activities for Multilotto UK and provide additional services connected to the use of the Website and the Internet. It is possible that Google transmits this information to third parties if this is legally required or third parties process this data on behalf of Google. Google shall under no circumstances combine your IP address with other Google data. You can prevent the installation of cookies by setting Your browser software accordingly; however, We advise You that in this case You may not be able to fully use all functions of this Website. By using this Website You agree to all the data collected on You being processed by Google in the manner described above and for the above mentioned purpose. 7. Multilotto UK reserves the right to use additional services for evaluating the use of its Website. 8. The access to data and the change of data are free of charge for Users. According to the Remote Gaming Regulations the full deletion of the data is not possible. 9. Multilotto UK will do its utmost to ensure the confidentiality of its Users’ personal information including the implementation of data protection procedures designed to ensure User confidentiality. Multilotto UK ensures that its data protection policy is regularly updated in order to ensure that the User's information is continually safeguarded. 10. From time to time, Multilotto UK may contact Users whether by phone or email for the purpose of offering them further information about Multilotto UK. In addition, Multilotto UK may, on occasion, seek to contact Users, whether by phone or email, for the purpose of informing them on unique promotional offerings provided by Multilotto UK for its User. Users consent to receipt of such contact when they consent to our General Terms and Conditions when registering with Multilotto UK. Any person wishing to opt out of further contact with Multilotto UK must contact customer support. 11. The User´s data may be required by law or relevant authorities to be disclosed by Multilotto UK. If Multilotto UK may believe that disclosure is necessary, Multilotto UK will disclose the information to the relevant public authorities in the United Kingdom. 12. Any suspicious or fraudulent activities can be immediately reported to the relevant authorities, including but not limited to the UK Gambling Commission. 13. Multilotto UK reserves the right to publish the name of a User who wins a significant amount, particularly in relation to betting on the outcome of lotteries. Consequently, by agreeing to these terms and conditions, You are hereby agreeing to have Your name published in the case of a significant win resulting from a betting on a lottery game. If publication of the User’s name can’t be made Multilotto UK can deny to pay out the win. 1. In case of a complaint or an issue, the User is to contact customer support by email on [email protected], detailing the nature of the complaint. Multilotto UK customer care representatives shall reply to the User accordingly to address the issue, and will try to reply to all requests within 2 days. This is version 1.7 of Multilotto's Terms & Conditions, last updated on 17/10/2018.